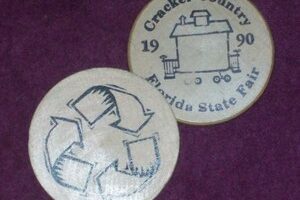 Wooden nickels have been popular as a collectible for decades. A common type of exonumia token, wooden nickels are cheap to collect and are perfect for all types of people interested in collecting interesting tokens. 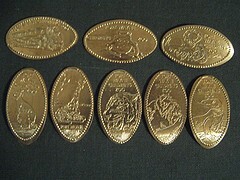 Many people believe lucky coins can help bring luck into their lives. Whether that’s true or not, lucky coins are special to each of us in unique ways. Did you know that you can make personalized coins? Making custom coins is a fun way to add a little spice to your coin collecting hobby. You could make coins for yourself or for others as gifts. Giving out custom coins is also a great way for an organization to make a good first impression! Here’s how to make personalized custom coins for a special event, a gift, or a personal anniversary. If you are looking for a job and like coin collecting, you might be interested in checking out the American Numismatic Association’s job board – they might just have a position waiting for you! Coins Are Great For Craft Projects, Game Ideas, Play Items, And More! Coins are good for much more than collecting, investing, and spending. 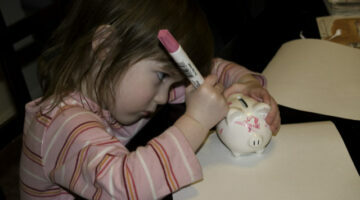 Coins work well with many types of crafts projects, games, and even can be used as toys! Elongated pennies are coins that have been intentionally squashed. Elongated coins are popular souvenirs from roadside stops and tourist attractions and often bear very interesting and even elaborate designs. If you have never seen hundreds of thousands of pennies stacked into a Guinness World Record-breaking pyramid, then now is your chance to see this amazing structure! This video says it all. See how the U.S. Mint is helping teachers and parents teach children about coin collecting. Got Old Coins? Use Them As Tips & Gifts For Others! 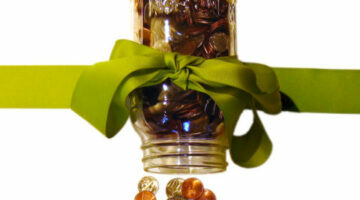 The aim here is to let coin collectors know there are ways to actually SAVE money on coins. You don’t have to spend a lot of money on coin gifts. 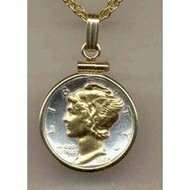 Plus you’ll find tips to reduce trips to the coin dealer for selling your coins. 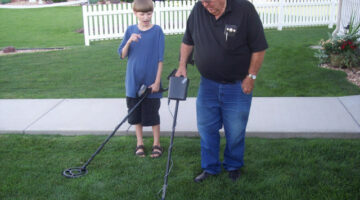 Here’s everything you need to know about how to use a metal detector to find old coins. 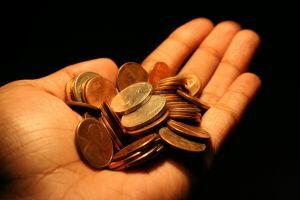 How much is a penny worth?… why a thousand words of course! Here’s the meaning behind some of the most popular penny phrases and words related to pennies. Want to get someone else to start coin collecting with you? Here are 5 ways to get others started collecting coins. It’s fun… and easy! Gift ideas that just about any budding coin collector would enjoy. And you don’t even need to leave your home to buy them because online shopping sites and coin dealers have all of these! Instead of giving someone a gift card, cash, a tie or blouse that they almost know for a fact may never be worn, why not give a gift that may reap investment rewards? 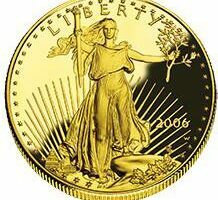 You may want to consider giving silver and gold bullion coins. Have You Seen The Barack Obama Coins? There are some new coins that depict President Barack Obama. While these Barack Obama coins may be great items for the history buff, presidential student, or fan of Obama, it is important to note that these coins are NOT official legal-tender products of the United States Mint! The Barack Obama coin is purely a novelty coin. Have some spare change lying around? Wondering how much money all that loose change is worth? Here are some free online coin calculators, plus some fun learning tools for parents interested in teaching their children about counting and other money matters.